Fig. 2. 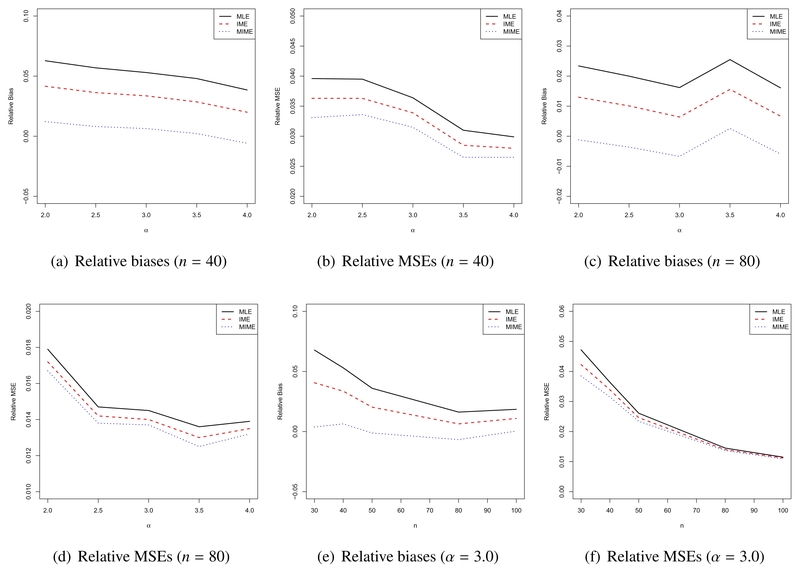 Average relative biases and MSEs of λ.